Buying and selling "As-Is" used heavy equipment can be very risky, and bad decisions can be very costly. Without proper tests and basic inspections, companies risk acquiring unsafe, poor quality, and poor performing machines needing extensive and expensive repairs. While it is impossible to absolutely guarantee the life or the longevity of any piece of used equipment (maintenance, operator negligence or abuse, work load levels) as well as build quality, design, age, and hours, are only a few of many important factors to be considered in heavy equipment evaluation. Our inspections, combined with unannounced oil analysis, will Greatly Reduce Your Risk. However, internal wear and internal condition of hydraulic cylinders, cylinder heads, valve train assemblies, crank case / bottom end engine conditions, and other internal components Cannot Be Guaranteed without actual tear down and careful examination and analysis inside these components. Our inspections are designed to greatly reduce your risk of acquiring unsafe, poor quality, and poor performing machines. However, it is impossible to absolutely guarantee the life or longevity of any piece of used equipment. Wear and condition of unseen internal components cannot be guaranteed without actual tear down and careful examination inside these components. We do not do any tear down or removal of spark plugs, turbo housings, wheels, tires, or body panels. Our inspection process is dependent on cooperation, availability, and access granted by the property owner, which we do our best to manage, but, cannot be guaranteed. Payment issued to our company indicates the acceptance of the above service disclaimer and you understand these terms and conditions as stated. "I'm based in Florida, my job site is on the island of Jamaica, and I needed a replacement dozer urgently. I found a used Caterpillar D5G XL dozer, but it was located out in Texas. With a super fast 24 HOUR TURNAROUND, Truck and Equipment Consulting of North America got me a detailed inspection report, complete with extensive high quality photos and a functionality report. I bought the machine quickly, minimized down time, saving thousands of dollars." Syd M. - Wincorp International. "My worksite is a quarry in Cordova, Veracruz, Mexico, and I found a used JCB JS330LC excavator in Brighton, Colorado. Truck and Equipment Consulting of North America not only provided a thorough and detailed photo and functionality inspection report, they also produced a great operational video, enabling us to make this large equipment acquisition and capital investment with confidence"
Jaime C. - Penuela Y Contadero S.A. DE C.V.
"We found 2 used Cat 446B Backhoe Loaders in New York, we're based in Chicago, and urgently needed pre-purchase photos and an inspection before export. Bad weather was approaching the area, but Truck and Equipment Consulting got us pictures and detailed reports in 24 hours. They really did a great job"
Chuck R. - Americ Machinery, Inc.
"My company exports used heavy equipment into Vietnam and Korea, and I'm based in Missoula, Montana. 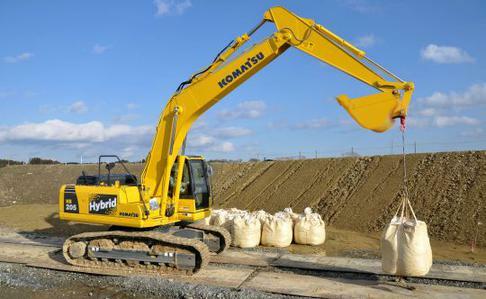 I needed a detailed inspection report for a used Komatsu PC-750 Excavator I found in Long Island, New York. Truck and Equipment Consulting of North America took great photos and a detailed report. I can recommend them as providing a very high quality and valuable service. "When large fleets of commercial trucks and tractors are returned, we need photos and inspections before we can properly resell them. Truck and Equipment Consulting inspected and photographed 75 units for us, with high quality, detailed, and very thorough photos and checklists. They also helped create customized checklists for some unique farm equipment that we acquired. Stu at Truck and Equipment Consulting is really professional and a pleasure to work with." "I can always depend on Stu at Truck and Equipment Consulting to provide quick and thorough support with truck fleet inspections whenever needed. He is always available 24/7 to take my calls and that means minimal downtime and fast turnaround." Digital Pictures of machines and components can often look better, than in-person appearance. Always judge digital images accordingly, and evaluate critically and carefully. "Stu, Thanks for the excellent job ! This is some of the best inspection work I have ever seen. The photos are really great and your coverage very thorough. I have had Cat dealers and Komatsu dealers send me sometimes 5 photos from inspections, just terrible." "Two days before the Ritchie Brothers auction in Longmont, Colorado, Truck and Equipment Consulting inspected a Cat 950E which we were planning to buy. The inspection discovered several weld repairs, a bad oil leak, and serious other problems which were not disclosed. We avoided a potentially costly mistake. Thank you Mr. Stuart !